Katie Nash, LCSW is a therapist and co-founder of Newtown Family Therapy. As a therapist she is passionate about empowering you to gain insight into the road blocks that have been preventing you from moving forward and feeling whole. Her practice was born out of a desire to connect to a community in need of healing and to offer more than today’s world of managed care and short term therapy allows. 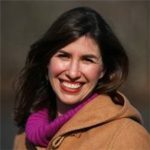 A compassionate and empathetic therapist, Katie’s diverse background, both personally and professionally, allows her to develop a unique approach to helping people—she matches effective clinical interventions with a humanistic and grounded approach. 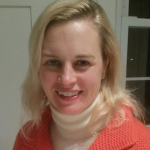 Prior to co-founding Newtown Family Therapy, Katie was the Clinical Coordinator at the Recovery Network of Programs, New Prospects in Bridgeport, CT. She received her bachelor’s degree from Quinnipiac University and her master’s degree in Social Work from New York University’s Silver School of Social Work. Karlie Spader is a recent graduate from the University of Bridgeport, receiving an M.S. in Clinical Mental Health Counseling. During her undergraduate career, she took an animal behavior course which led her to learn about the LGBTQ community and how at times this population struggles with mental health. 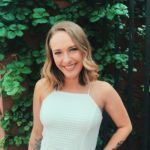 Her explorations on this topic helped her discover counseling and motivated her to pursue a degree in counseling to learn more about mental health issues and to be a provider to those who need help. In 2015, Karlie began an internship with True Colors, Inc. located in Hartford, CT. Her time at True Colors introduced her to people of all walks of life. She currently facilitates a LGBTQ youth group in Bridgeport, CT for True Colors on the first Friday of every month. Karlie gained her clinical experience at the Connecticut Psychiatric and Wellness Center located in Woodbridge, CT. While working on her internship hours, Karlie found her love of working with youth and adolescents. Karlie’s passion in life is to encourage individuals to discover their worth and what is meaningful to them. 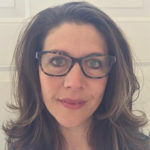 Drea Purdy, LMFT is a Licensed Marital and Family Therapist who has spent 10 years connecting and working with people to navigate their complex worlds in order that they may live happier lives. Drea believes that the therapeutic relationship contributes significantly to personal growth and insight. Her nuanced multi-disciplinary approach has been and continues to be effective in treating individuals, couples and families who suffer from the use of tools that served a function and may have worked at some point, but are no longer contributing to a positive way of tolerating emotions and/or being in the world today. Drea received her undergraduate degree from Merrimack College in Andover, MA and her master’s degree from Antioch University in Los Angeles, CA. 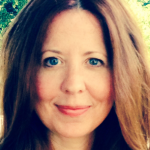 Penny Tavar, LMSW, is a psychotherapist serving children, individuals, couples and families. Penny completed her Graduate MSW degree in 1997 and Post Graduate studies in Play Therapy and Adolescent Therapy in 1999 at Fordham University. Penny also continues extensive Post Graduate Training at the Ackerman Institute for the Family, one of the Premier Institutions for Couples and Family Therapy. Penny Utilizes a Systemic-Relational Therapeutic Approach which embodies a collection of Ideas, Disciplines, Techniques and Practices designed to be effective in treating presenting issues and challenges presented by physical and mental illness, developmental difficulties in childhood, and relational trauma. Fostering change, strengthening and clarifying relationships between couples, and family members and empowering individuals to envision and create positive change and growth is the desired goal and mission of this therapeutic journey.